Renaissance Periodization (RP), a training and diet services company for world-class athletes, donated a monetary gift to the Molecular and Applied Sciences Laboratory (MASL) at Auburn University. Mike Roberts, Ph.D., is the director of MASL and an Associate Professor in the School of Kinesiology. The RP team consists of 16 Ph.D.s in the fields of Sport Physiology, Sport Performance, Sports Nutrition, Cellular/Molecular Biology, and Neuroscience. The RP team also has five Registered Dietitians on staff. RP is the official dietitian of USA Weightlifting. 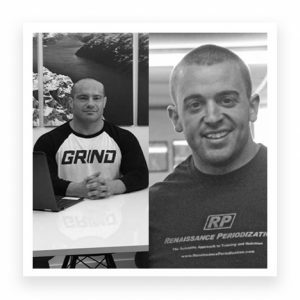 RP Founder and CEO, Nick Shaw, is a competitive powerlifter and bodybuilder, and has worked with numerous physique and strength athletes. Mike Israetel, Ph.D., the RP Head Science Consultant, helped facilitate the gift. Israetel was previously a Sport Scientist for East Tennessee State University Athletics and the Women’s Volleyball strength coach. Israetel was also a competitive powerlifter, and is currently a competitive bodybuilder and grappler. Cody Haun, a doctoral candidate in MASL, was a master’s student at ETSU while Israetel was a Ph.D. student. The two established a connection at ETSU and have remained colleagues. As a master’s student at ETSU, Haun worked as an assistant strength and conditioning coach for Olympic sports and provided nutrition programming to weightlifters. At Auburn, Haun is also the head strength and conditioning coach for USA Team Handball’s men’s and women’s national team residency program in addition to his work in MASL. “I’m extremely honored to be a part of such a great laboratory and receive this research gift from RP. Additionally, I’m excited about the opportunity to enhance our understanding of muscle physiology related to nutrition and resistance training,” said Haun. Lab director Roberts is well aware of Haun’s good work. “The main reason we received this gift is because Mr. Shaw and Dr. Israetel recognize and appreciate the phenomenal science that Cody is doing in the laboratory,” he said. Other researchers that received gifts from RP include Brad Schoenfeld, Ph.D ., CSCS (Lehman College); Eric Helms, Ph.D. (Auckland University of Technology); and Nathan Jenkins, Ph.D. (University of Georgia). RP’s motto is “Science is Stronger.” The company provides “Diets and Training Backed by Science. Created by Professors, Doctors, Dietitians, and World Champions” RP provides training templates for those with extensive dieting and training experience that are simply ordered online and received via email. The company also offers one-on-one coaching for those that are looking for more guidance or expertise in their nutrition and training regimen. Additional products include memberships, seminars, and eBooks such as Scientific Principles of Strength Training, and Understanding Healthy Eating. You can follow RP on Instagram at @rpstrength or visit the RP website for more information.